I had been touting the deliciousness of my healthy healthier fried chicken to my colleagues for months. 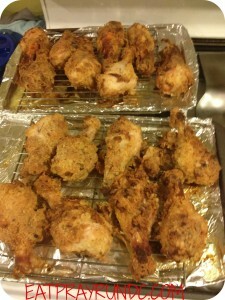 Finally, I decided to put up and make some fried chicken to share. Lucky for y’all, I grabbed a few photos and am going to share the recipe. This recipe is from my dear friend Kathy, who is an amazing chef. No, not professionally, but the woman can throw down. This chicken is awesome because it’s crispy but only spends about 5 minutes frying — then it finishes cooking in the oven. It’s a genius idea and SO good! 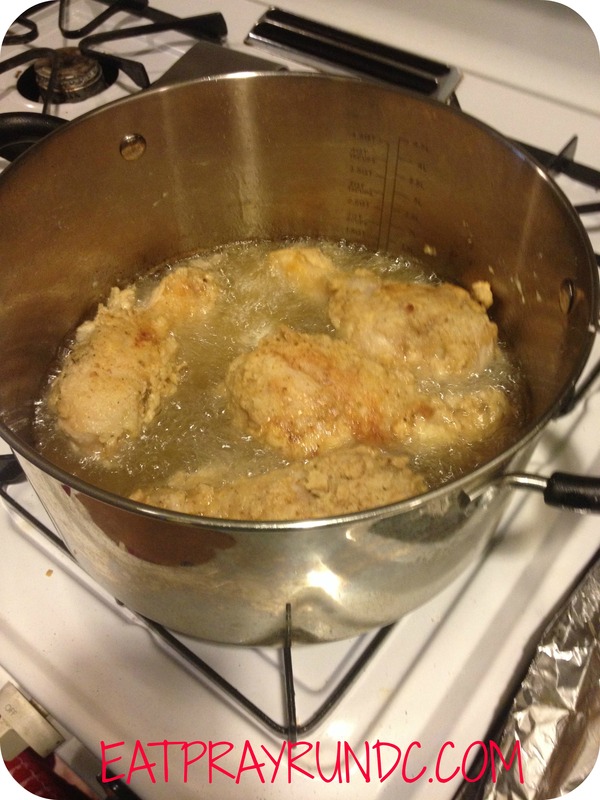 Create healthier fried chicken by limiting the amount of time the chicken is in the fryer. Then bake the chicken to finish cooking. If you do not have a cooking thermometer, you can drop a tiny bit of flour in the oil - if it sizzles, then the oil is hot enough. No going to lie, fried chicken is one of my guilty pleasures! I just love the crispness of fried skin! My boyfriend thanks you in advance for this recipe! Lauren recently posted…I Needed a LYFT this Morning! MMMMM this sounds awesome!!!! Definitely going have to try this! it is SO good and really really easy to do. i hate frying and LOVE this chicken! Saw this picture on Instagram. Immediately ran to your blog for recipe. This looks DELICIOUS!